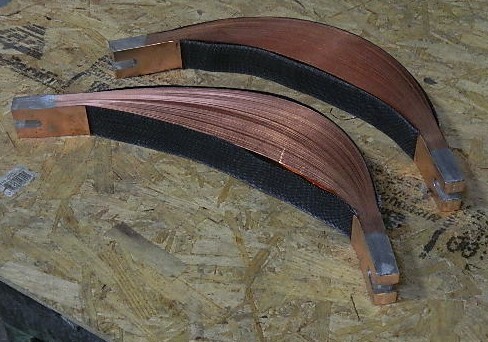 Welform Electrodes is the largest manufacturer of copper-leaf shunts for the resistance welding industry. We utilize machines that were developed and built at the Welform headquarters to cut and form raw copper to create the most precise leaf shunts for our clients. Because we manufacturer and engineer our parts internally, we can create custom solutions that will fit your specific needs and output. Welform works with all automotive standards to provide custom shunts for any requirement. We carry over 6,000 pounds of different sizes of copper coil to assure fast delivery and high customer satisfaction. Simply give us general dimensions and we will create a custom leaf shunt drawing for you, or contact us if you have any questions beforehand and our talented staff will help you find what you are looking for. Click HERE to start the process and build your own custom shunt.